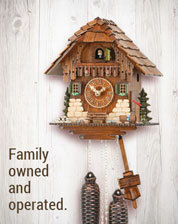 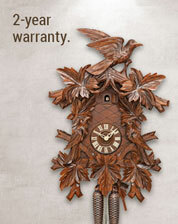 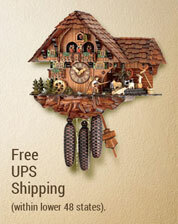 11 3/4 Inch Spectacular musical cuckoo clock by Hekas with wooden handcarved moving beerdrinkers. 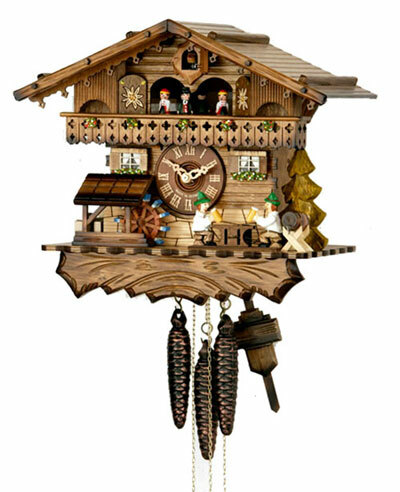 Clock also features turning dancers and water wheel . 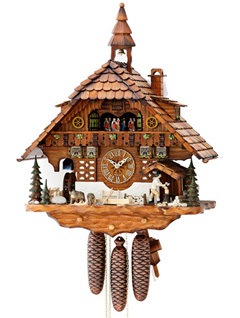 Clock has wooden swiss chalet style case, wooden dial and cuckoo bird. 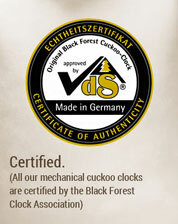 Clock plays 2 tunes and has night shutoff to silence cuckoo and music.